Over the years, the Disney channel has given us some of our most prolific pop stars. Justin Timberlake, Britney Spears, Miley Cyrus and Selena Gomez all came from Disney beginnings. And so did Christina Aguilera and Demi Lovato, who might be going back to their roots and giving us the former Disney star collaboration of our dreams. Both stars have been teasing that they might have something in the works together, and we already know we’re not worthy of whatever it is. Rumors have been flying about a possible Aguilera-Lovato collab for a while, and when TMZ caught Aguilera getting into her car last week, a reporter was quick to ask about them. “I love Demi! She’s my girl. 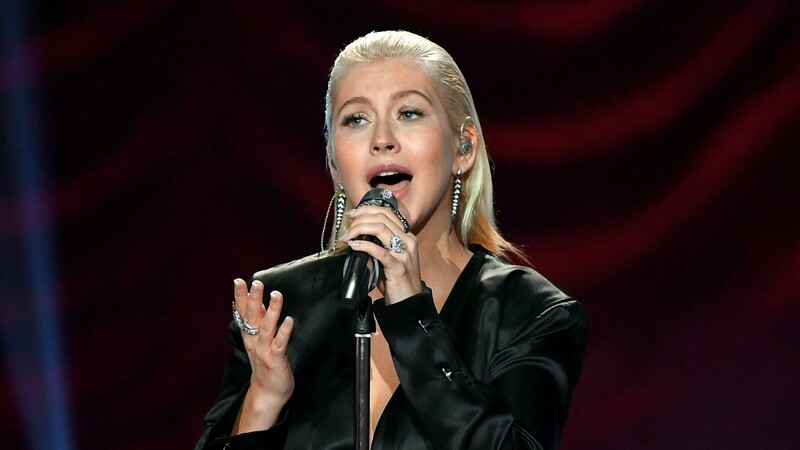 Great things to come!” Aguilera said before closing the car door. That sounds about as close to an admission that they’re working together as is possible without completely spilling all the details. Lovato, who performed a show on her Tell Me You Love Me tour in a stadium where she saw Aguilera perform as a little girl, gave fans there a clue that something might be on the horizon after relaying an epic story about how seeing Aguilera perform live helped pushed her toward pursuing music. She went on to add, “And now Christina’s my girl and big things are coming!” she yelled to the crowd from onstage. While Lovato has been active in touring and making new music, Aguilera hasn’t released an album since 2012, so she’s long overdue even though she’s been teasing a comeback for a few months now. And collaborating with Lovato would only make whatever she’s been saving for over five years even more worth the wait.